I am not the person to speak on a matter like this. However, it is a privilege to type on an issue of this magnitude. Another High School massacre occurred because of gun violence, this time closer to home. I remember attending High School in Miami when the Columbine School shooting happened. I did not understand the meaning and the historical change, which occurred to the country in April of 1999. Earlier this year, 19-year-old Nicolas Cruz fired more than 100 rounds during his Parkland rampage, then escaped by blending in with students fleeing Marjory Stoneman Douglas High School. 17 victims died, ages 14 to 49. They were athletes, musicians, and faculty. South Florida teams united from all major sports including athletes individually showing support for the school’s tragedy. The Miami Marlins hosted the Stoneman Douglas High School baseball and softball teams before their spring training opener. The Florida Panthers hockey team was hosting the Washington Capitals, Panthers goalie Roberto Luongo who is a resident of Parkland, Florida where Stoneman Douglas is located opened with a moving speech before the puck dropped. “You guys are brave, you guys are an inspiration for all of us,” Luongo stated. The Panthers placed all the names of the victims on the ice. The South Florida sports teams embraced the moment and only showed support. Joaquin Oliver one of the 17 victims in the school shooting was buried in Miami Heat guard Dwyane Wade’s jersey. Wade scored 15 of Miami’s final 17 points, finished with a season-high 27 and his jumper with 5.9 seconds remaining lifted the Heat to a 102-101 victory over the Philadelphia 76ers. Wade did this wearing shoes dedicated to Joaquin Oliver. Wade visited the school weeks later. The Miami Heat will honor Stoneman Douglas with a patch on their basketball jerseys for the remainder of the season. The Stoneman Douglas Hockey team won a state title, 17 members on the team 17 medals, one for the 17 lives lost in the school shooting. The players placed the medals back at the school. Politically, President Donald Trump addressed the nation a day after the shootings. Denouncing the “terrible violence,” hatred and evil” of the attack. Florida Governor Rick Scott mentioned he planned to meet with legislative leaders to discuss gun bills to make schools safe and keep guns out of the hands of the mentally ill, with more on the table to come. The students of Douglas High raised their voice higher than the local officials and the 45th President. The Parkland students led an emotional March for Our Lives rally in Washington D.C.
Stoneman Douglas students are titled “high school kids” however since Columbine, nearly 200,000 children have been exposed to gun violence. 13 dead at Columbine, 26 dead at Sandy Hook and 17 dead at Marjory Stoneman Douglas not including the perpetrators. These high school kids paused test taking and preparing college essays for the purpose to upend gun violence. The Parkland students flat out called out lawmakers who take contributions from the NRA and vowing they would be the last mass shooting. Student after student, young person after young person had their voices echoed amongst the over one million in attendance. 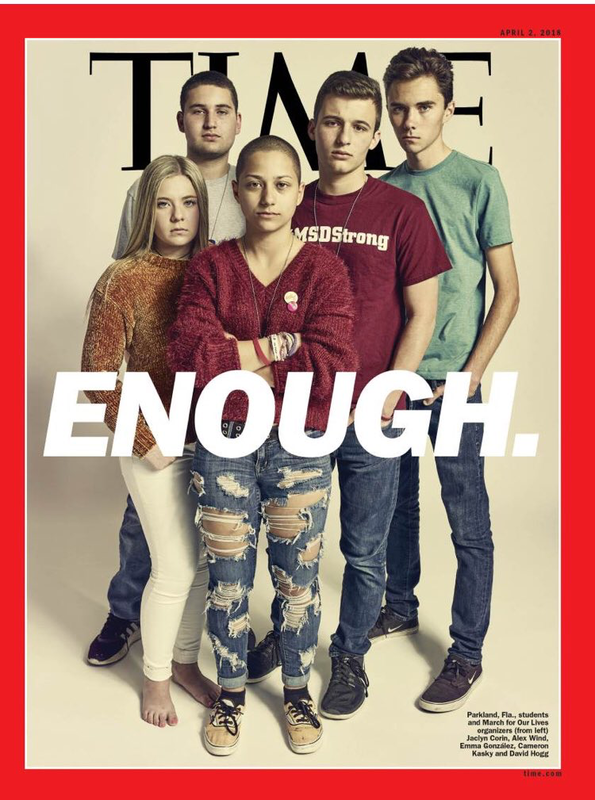 Parkland students lifted up voices of all ages and opened discussions that are have not ended. Naomi Wadler, an elementary school student from Virginia at just 11, took the stage to address gun violence against African American women and girls that is under-reported. “I am here today to acknowledge and represent the African-American girls whose stories don’t make the front page of every national newspaper. These stories don’t lead on the evening news,” Wadler said at the Washington D.C. at the rally. The March for Our Lives rally was memorable, however, will it only be a memory? Sports will continue to serve as a reminder there is work to be done and questions to be answered. Back in South Florida, the Miami Marlins and Chicago Cubs will wear uniform patches honoring victims of Marjory Stoneman Douglas High School victim during their season-opening series.